Links you might be interested in..
One of the largest antiques organizations of its kind, with nearly 300 in-state and out-of-state members dedicated to integrity and courtesy in their business dealings and to an awareness and appreciation of articles of antique value. 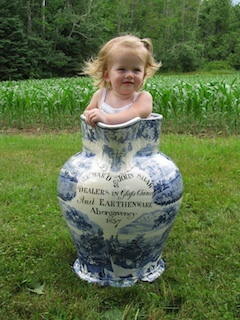 Fitzwilliam, NH is considered by many to be the antiques mecca of southwestern New Hampshire. The Antiques Dealers' Association of America, Inc. Established in May 1984 as a non-profit trade association. Its major objective is to make more professional the business of buying and selling antiques. Promotes scholarship and research in the history, use, and preservation of ceramics of all kinds, periods, and origins. The current membership of roughly400 is composed of museum curators, collectors, institutions, and a limited number of dealers in ceramics.